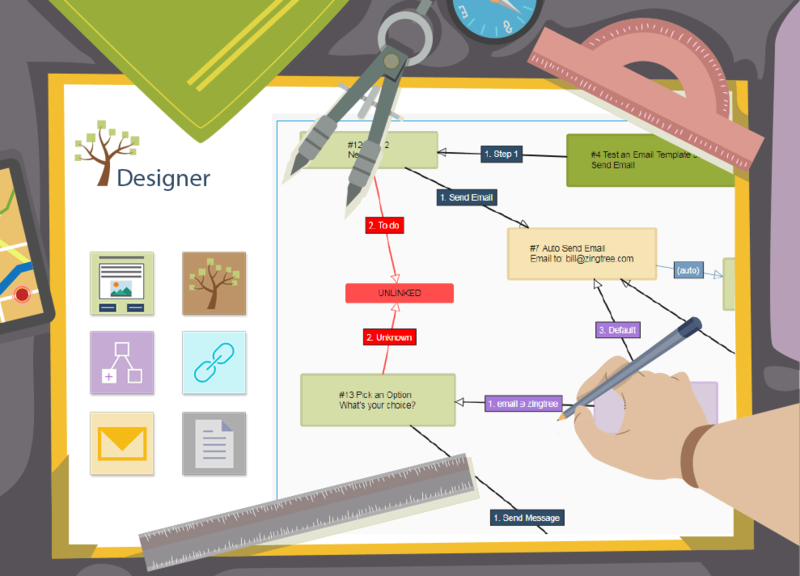 We created the Zingtree Gallery with you in mind, making it simple to generate powerful decision trees to fit your needs. In the online Gallery, you’ll find a helpful selection of pre-made Trees that can be explored, copied and customized for any project. The existing decision trees in the Zingtree Gallery have all been created by other Zingtree authors, and are free to use for inspiration or duplication. You’ll find robust, pre-made decision trees spanning many key areas, including Customer Support / Troubleshooting, Call Centers, Training, Medical, and more. All of the trees found in our online Gallery are free to view, export, or embed into your own website. You can even view live usage statistics and graphs, or submit your own generated Tree to help others! Head to the Gallery and select the decision tree you’d like to use. Choose to Play the demo to see a live preview, Examine to explore reporting, editing and design tools, or Copy to create a duplicate for your personal account. After Copying your decision tree of choice, rename it and add an appropriate description. Manage your new Tree from “My Trees” on the Zingtree website, where you can edit, preview and more! Visit the Zingtree Gallery to get started, or contact us with any questions!